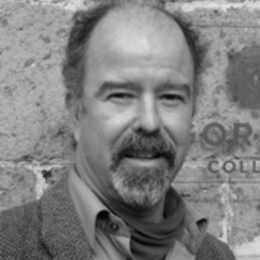 John Skillen was the medieval and Renaissance specialist in the English department of Gordon College (Ph.D., Duke University) before serving as the inaugural director of the Orvieto program since its inception in 1998. He has served as chairman for both the English and Communication and Theatre Arts Departments, and is a veteran leader of summer seminars in Italy and the British Isles and a number of study-tours and retreats in Italy. Professor Skillen's interests are broadly in the arts and cultural history, and—as the program vision indicates—he is interested in the renewed relevance of moments in early European culture for the conditions of our present "post-culture." He is the director of the Studio for Art, Faith & History, edits the Studio's e-journal, Letters from Europe, and is the founder and co-director with his Orvieto colleague Alessandro Lardani of the annual Festival of Art & Faith held in June each year.